Bohemian - What style are you? especially one who is involved in the arts. This blog has taken me longer than what I had hoped. I started it back in August and I swear time just ran away from me…. when did we hit November? Well, no matter - we are here now and I am proud to share with you, probably, my most favourite subject ever. Bohemian style has always been a small passion of mine. I was always marked as unconventional or ‘least likely to conform’ and my sense of style was always a mismatch of colours and themes. I have occasionally bent towards trends and fads over the years - but only to blend them in with what I already have or own. Growing up, I could never get a grasp on one trend - as I seemed to like everything and want to collect mementos from everywhere I went and travelled. It took me a little while to really hone it and realise that I could make it all work - I just had to be smart about it. Before we begin let's dive in more to where the term originated. 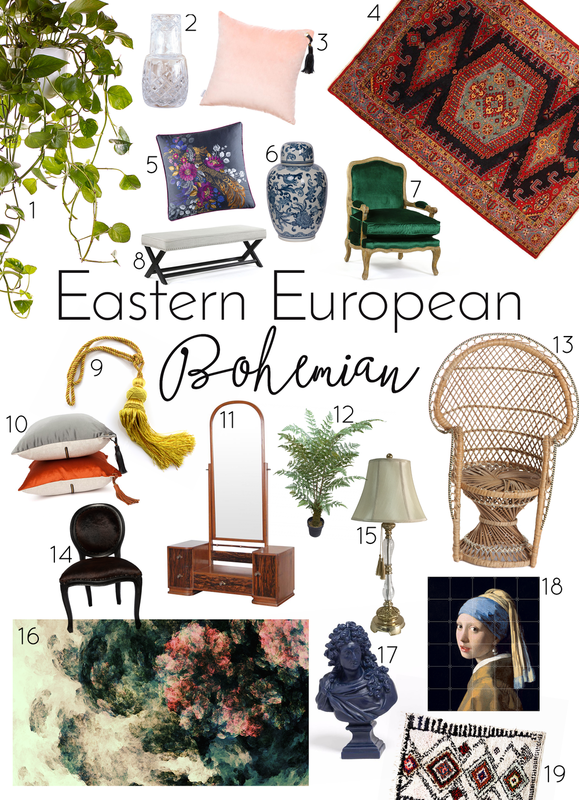 The word 'Bohemian' as we understand it today is derived from the French expression "La Boheme" which was used to describe people from the region of Bohemia. Bohemia was the original name of the Czech Republic back in the 12th century and was part of the area known as Greater Moravia. When the country began it’s Civil War in 1618 - also known as the Thirty Year’s War - many people took up in caravans and fled their home land. Many Romany, and “Gypsies**” had come through Boheme and the French referred to these people as Bohemians. This is how the name came to it’s current day understanding. Now, Bohemian style is typically a collection of art, findings, souvenirs and artifacts that have been collected over time and all put up to be displayed. 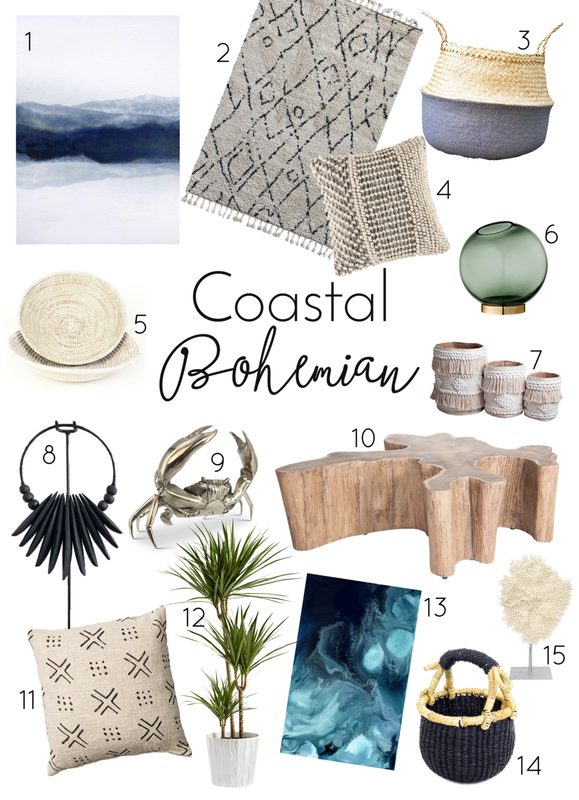 Technically you could have all sorts of styles everywhere and it would still be bohemian, I personally feel that to define what type of Bohemian style you have - it is good to take a step back and look at what the majority of what you collect and display, and then continue with that trend. You can still pepper other elements of boho in there, but try to stick to the one type to help it not look cluttered or messy. 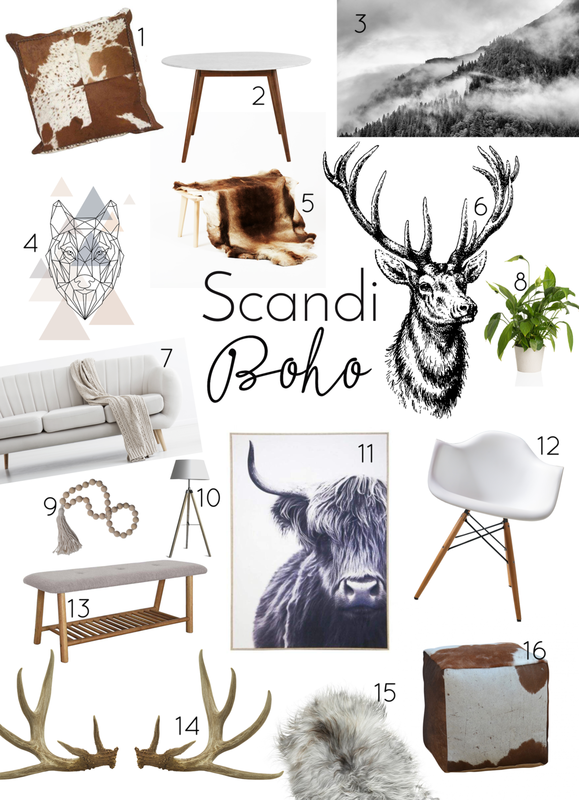 There are many variations of boho - and I could have gone on and on with all the different types, but that would have taken me even loooonger to finish so I have narrowed it down to the most popular at the moment and given you seven to work with, and a final list of things that you should aim to have in your home to really tie in the whole look! Take a look, follow the links to any of the stores that I have featured (all pictures used with permission of course!) and let me know if you have a favourite - or if you have decided to take on one of these great bohemian looks! All imagery used with permission. Image sources and credits can be found by clicking the linked descriptions. All other images purchased from Adobe stock or free image stock platforms. ** Please note that the term “Gypsy” is not used in offence, we recognise that Gypsy is one slur that we often come across in Bohemian culture. It is often used as a synonym for boho, hippie, fashionable, interesting, or wanderlust. But it doesn’t mean that, and there is no “positive” or “acceptable” way of using it. It’s time to take the word Gypsy out of your vocabulary as well as the term “gypped” - excerpt taken from www.mumblesandthings.com, edited to fit this blog.